THE demise of Borders left a gaping hole in Glasgow city centre when readers of specialist magazines were left without somewhere to buy their favourite periodicals – a gap now filled by the new Fat Buddha store on St Vincent Street which has just introduced an extensive magazine rack. 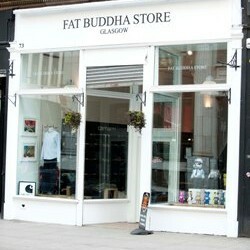 Leslie Docherty, founder of Fat Buddha, Glasgow’s only street culture specialist, said: “As a regular buyer of magazines in Borders I was sad to see it go – so I’m delighted to be able to provide mag-lovers like myself a new outlet to browse around and pick up the latest editions of their favoured periodicals. “Fat Buddha is popular with a lot of artists, students, architects and landscape architects and the 50 or so specialist titles we now stock reflects the eclectic taste of our burgeoning customer base. Indeed, the new Fat Buddha magazine rack sits alongside its extensive display of street art and design-led book display on the mezzanine level of the spacious store. In addition to specialist mags and books, Fat Buddha stocks everything from clothing, footwear, urban vinyl toys and art supplies from its second store at 73 St Vincent Street, Glasgow. MEDIA RELEASE posted by Liquorice Media. 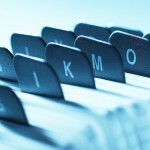 You too can post a media release (aka press release) on allmediascotland.com. For more information, email here.